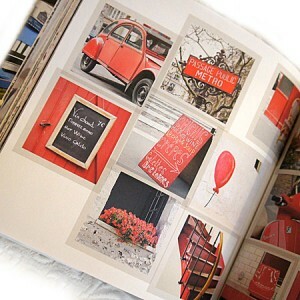 I just picked up a great little book at my local Pottery Barn store called “Paris in Color”. Talk about your color inspiration! Have a favorite color? It’s here. Don’t have a favorite color – you will after slowly looking through the fabulous photos. Blue doors with their weathered paint, green park benches, quaint pink café tables, vivid yellow signage—all arranged in glorious color sections. Give yourself a real treat and wander the romantic streets of Paris through the eyes of photographer Nichole Robertson. This book is the grown-up version of the picture books you cherished as a child. Whether or not you are an artist, you will want to look at it over and over again. Author/photographer Nicole Robertson has a wonderful shop on Etsy, The Paris Print Shop, and also a website, Little Brown Pen. Her “Paris in Color” book was published last April, and is available on Amazon, and in shops including Shakespeare & Company, Pottery Barn, and Anthropologie. Prints from the book are also available via her Etsy shop. This entry was posted in Random and tagged book review, color, Color in Paris, Nicole Robertson, Paris, photography. Bookmark the permalink.